Choose a typeface, enter text, and bam! you have a shirt. 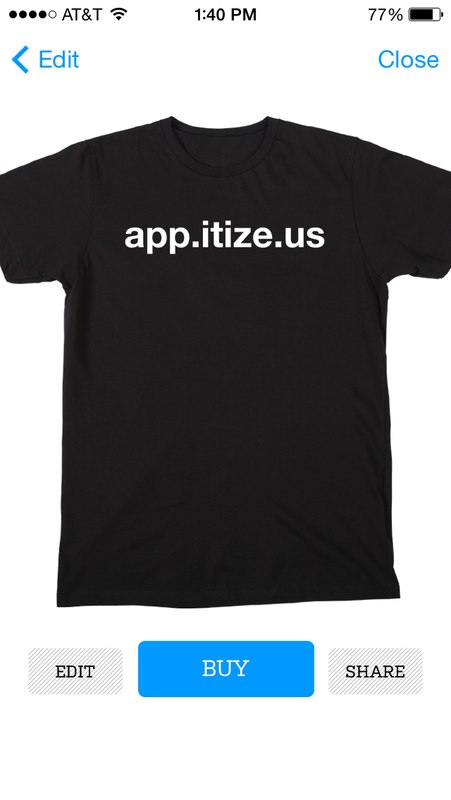 A wonderfully simple and straightfoward app from Threadless. 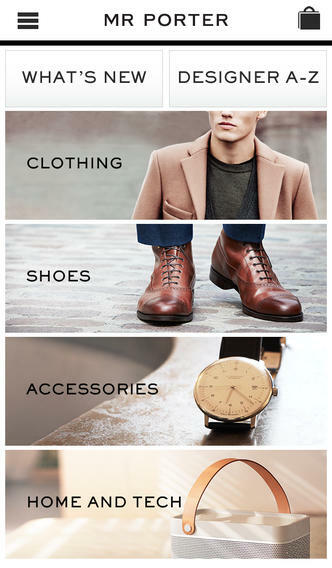 The complete Frank & Oak shopping experience on your phone or tablet, letting you shop the latest style and get tips for better living from their experienced editors. Simple and modern design worthy of a gentleman. Shop at your own risk as they have great product! 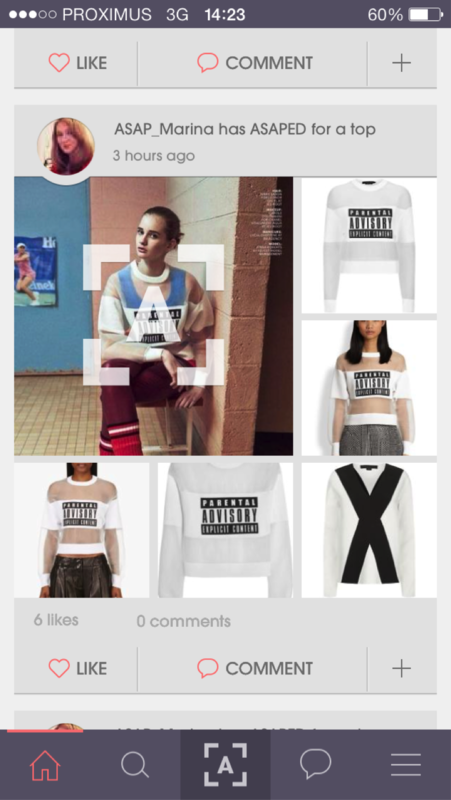 Discover and shop fashion online using you phone cam. It combines a social fashion community with the latest visual search technology to identify the article of clothing you have captured to its vast database of retailers. A weather app built on the Svpply API. 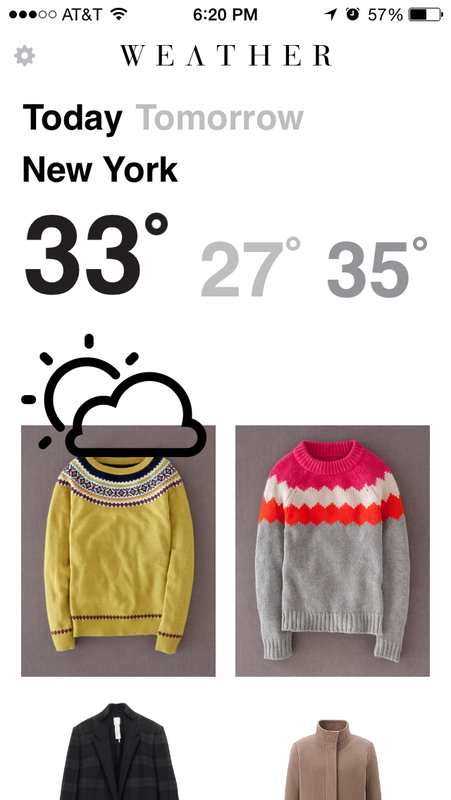 Check your local weather and receive some handpicked, corresponding fashion suggestions as a bonus.